To provide visibility into a stack that serves a customer base of more than 50 million. Part of the U.S. Department of Health and Human Services, the Centers for Medicare and Medicaid Services (CMS) cover 100 million people through Medicare, Medicaid, the Children’s Health Insurance Program, and the Health Insurance Marketplace. 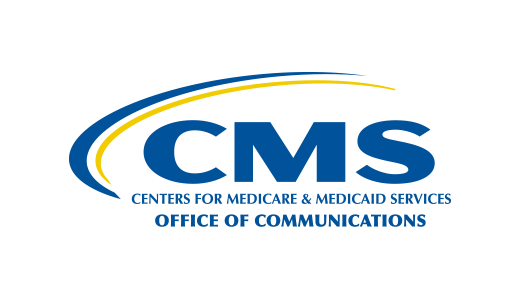 CMS is tasked with strengthening and modernizing the nation’s healthcare system to provide access to high-quality care and improved health at lower cost. Adding another layer of complexity was the requirement to integrate all of these external systems, including the HealthCare.gov platform, into a single environment that could be more easily managed. CMS required a disruptive technology to help in the process. "We had no way of tracking performance in real time. Nine times out of 10, we’d hear from the contact center that one of our sites had a problem." Disruption for the government, however, often means temporarily suspending vital services to its citizens. This makes any modernization or new technology initiative incredibly more nuanced, as the government needs to be able to harness all the positive attributes of disruptive technologies, but cannot afford to stop the flow of services (even momentarily) to do so. This problem compounds exponentially as user bases scale dramatically. CMS needed a solution capable of delivering the comprehensive view required to put a permanent end to the fire drills. This called for performance visibility all the way from the backend of the system on to the consumer’s view, all through a single, unified portal. They deployed a software analytics platform—one that offered everything from dashboards and alerting, to transaction traces and thread profilers—to establish an environment where they were proactively able to identify problems in the code base and prioritize fixes. As part of its shift to a more scalable and agile technology stack, CMS migrated its applications to public and hybrid clouds, switched from expensive proprietary compute and storage hardware, and started using automation tools. This transition provided CMS with increased scalability and availability, while software analytics ensured that all of the agency’s end-users were using a common, intuitive interface, even for non-developers who needed to understand the performance information in front of them. "When we look in the rearview mirror, it’s amazing how far we’ve come. All the sites we run and the systems we manage—they all make a difference in people’s lives. And that’s really meaningful for everybody on the team here." As a result, CMS receives deep software analytics for every part of their environment, allowing them to organize, query, and visualize data to answer key questions about application performance and customer experience. In addition, the solution can scan hundreds of thousands of events in milliseconds to provide quantifiable information to detect, triage, and diagnose potential performance issues. These capabilities enable CMS to view and analyze massive amounts of data to gain actionable insights in real time.